The holidays are busy -- there are cards to write, presents to wrap, and rooms to decorate. Some of these traditions date back thousands of years; for example, ancient Romans covered their houses with evergreen branches to celebrate the first day of winter. Of course, becoming a part of history can be exhausting, so take a break, and enjoy some of these easy, holiday treats. 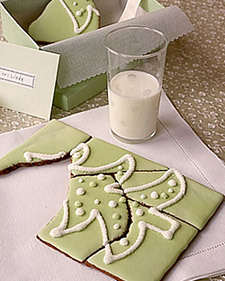 A lunch staple is cut out for a party when it's designed with festive cookie cutters. To make a sandwich, trim the crusts off two slices of bread. 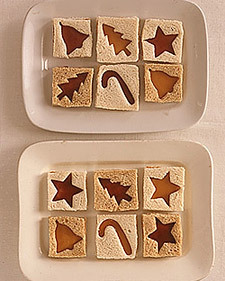 Spread peanut butter and jelly on one slice; cut a hole out of the other with a cookie cutter, and place it on top. 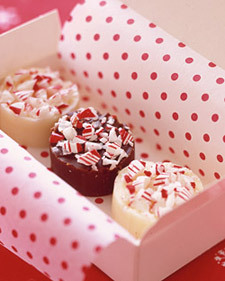 Make homemade fudge -- an even sweeter gift with crushed peppermint. This is a great way to use leftover candy canes -- simply put them in a zip-top plastic bag and then pound with a kitchen mallet. 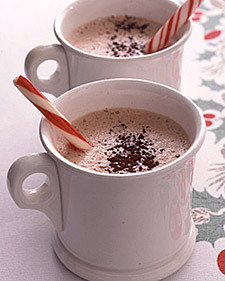 Mix things up in a classic winter drink: Add a candy-cane "spoon." It melts in the liquid for extra flavor.